My son just turned 4 and he had a fantastic array of birthday presents from family and friends. I thought I would share here the ones that were the biggest hits, to give you some ideas of what to buy for a 4 year old. My son is just starting to show an interest in what time it is, particularly since he started school here in France. He was getting really tired just after he started (I wrote about our experiences of his extreme tiredness here) and since he received this watch for his birthday he has been asking me to teach him how to tell the time so he knows when we need to leave in the morning, when it is tea time, and when he has to go to bed. He isn't doing it independently yet, I think that is going to take some time, but I think it is really helping him. Particularly, he loves being a big boy with his own watch. 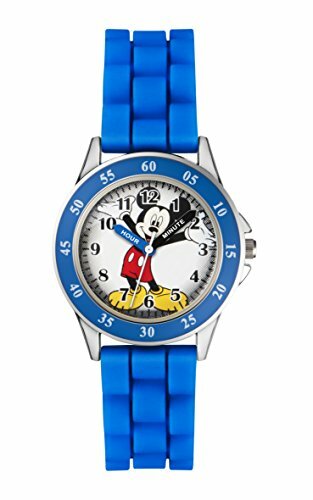 I chose this one for him because it has all the features on it to teach him to tell the time. But also, because we used to love looking at the big Mickey Mouse clock on the way into Disney Land when we lived in Paris (you can read about how we had fun there in our Disney Series here). It is a proper glass fronted watch - which I discovered to my peril when I dropped it from quite a height when I was getting it out to wrap it. I had to order another one from Amazon, and thanks to my Amazon Prime account it arrived in time for the birthday boy's big day! Because of this the boy isn't wearing his watch to school, where it is probably most likely to befall harm. It is his special watch that he wears with pride at all other times. I would still recommend it though as it is lovely, the design is perfect as a learning aid, and at less than £15 it is a sensible price point. 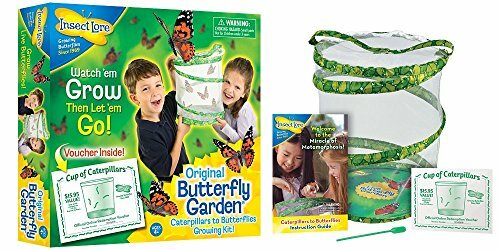 This was a present from family and it is going to be such fun doing this together, and teaching the children about the lifecycle of a butterfly. I think my 2.5 year old will enjoy it as well, but my 4 year old is definitely at an age to find it fascinating. I have known other friends who have done this with their children before, with great success, so I am really looking forward to ordering our caterpillars, setting the Lore up, and watching the transformation. I explained to my son what it is all about, and he was a little reluctant about the end part where you release the butterflies. He wants to keep them as pets! I'm sure when it comes to it he will be happy too though as we will talk about it more during the process. This particular one linked here is under £15 on Amazon UK, so perfect for a gift. Staying on the bug theme (we are bug fans here! ), my daughter's present to her brother was a "Bug Hotel". We bought ours from a local branch of a shop here in France called "Action", which sells a wide range of things at competitive prices. It is a bit like shops such as Home Bargains, B&M or The Range in the UK. He instantly knew what it was, and was very excited to welcome some insect guests to his hotel. 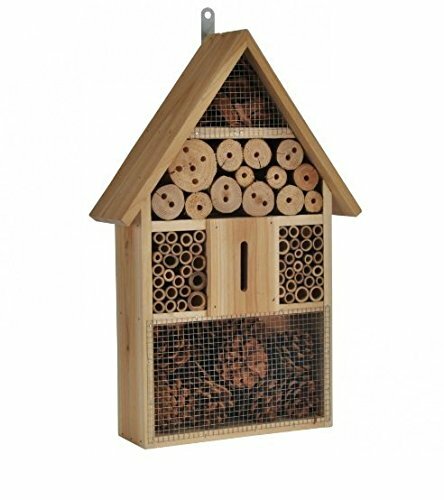 I found exactly the same one as we have on Amazon which is shown in the link here for £16.94. The one I got from Action was a bargain at under €10! 4. Bike light & "horn"
Granny and Grampa did wonderfully buying one of these as a gift. 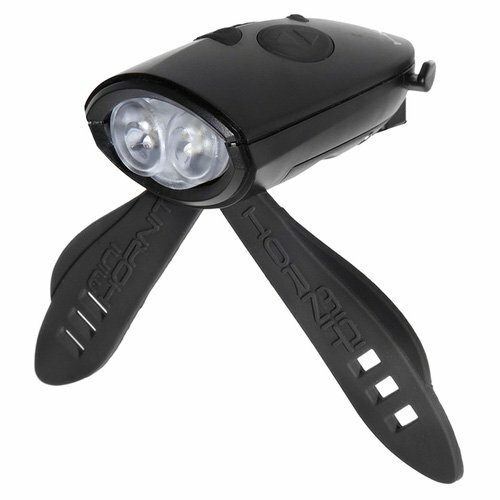 The boy (like his father) loves riding his bike, and this cleverly designed light has universal fittings and looks really cool. Not only that, but it is giggle inducing! It is nice and bright, so making cycling in low light safe, and can even be changed to green. There are loads of different "horn" noises to choose from, including an elephant. The source of most of the hilarity has been due to the trump and burp horn noises! Definitely a Five Little Stars product, again for under £15, and the packaging says it was seen on Dragons Den. One of the television programmes that my son is currently enjoying is Rescue Bots. The Rescue Bots are a spin off programme from Transformers which is aimed at younger children. 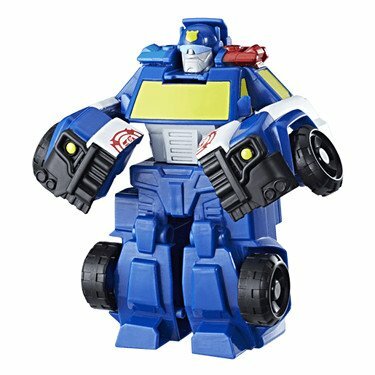 The great thing about the Rescue Bots toys, by Hasbro, is that they are also designed for younger children, and so the process of transforming them is easy enough for them to manage on their own. I believe it is a 3 stage process. Although I am not 100% sure, as since he received his the boy has solely done it on his own! We received the fire engine Rescue Bot as a generous Grandparent gift, which was coincidentally timed perfectly with learning about firemen at school. This Police car example is another one of the characters. Also a big winner now in our house is: Lego. I have to confess that the Lego Duplo was never as much of a hit as I had expected it might be. 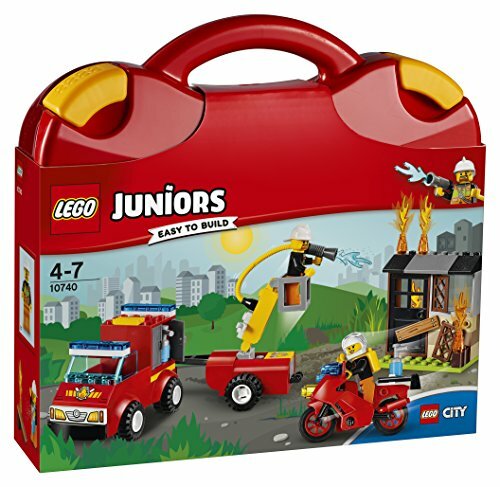 But, although the concept is no different, these Lego sets (especially at the moment the Juniors ones) are much loved. At 4 he is almost able to do these Juniors sets on his own, but he enjoys the 1:1 attention from doing it with me, and definitely needs little hints, tips, and guidance still. I would say at the moment Lego is his most asked for toy. This Fire Patrol Suitcase cost me £17.99, and was met with gasps of joy when he unwrapped it! Some of our good friends asked for a birthday present idea. It is fair to say that the boy has lots of "things", especially having a birthday so close to Christmas it can be tricky thinking of ideas. It is always lovely to have something to do. For Christmas, another friend gave the children some money for a day at the zoo - as soon as it warms up I am really looking forward to us doing this together. Then inspiration struck. The kids love their movies, but not everything is available on Netflix (our only English TV source here in France). So we have a little stash of favourites on iTunes and letting the boy choose a special film himself that he wanted to watch seemed a great idea. Perhaps unsurprisingly he chose a couple of Lego movies (Batman and Chase Powers). On the afternoon of his big day, we all snuggled in front of the fire and enjoyed the Batman Lego movie. It is enjoyable to watch as an adult too as it works on 2 levels, and it is a lovely way for little ones (who know all of the characters from school or toys) to access the super hero stories, which otherwise wouldn't be age appropriate via the blockbuster movies. 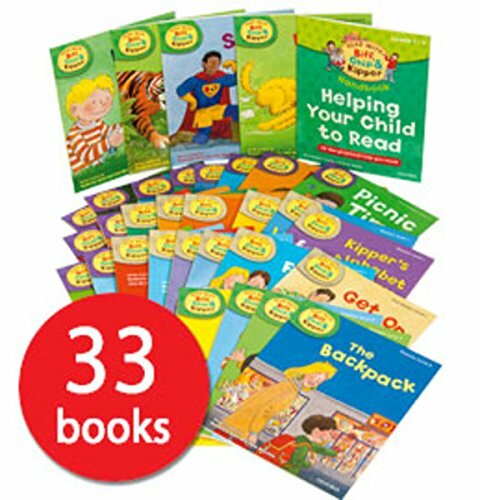 This learning to read at home set of books was received with much excitement. I remember reading Biff, Chip and Kipper at school too - so its longevity must say something about its quality! To say the boy is chomping at the bit to learn to read is an understatement. He has been avidly watching Alphablocks, and we have been working through some Jolly Phonics together at home. You can read about what we have been doing to introduce phonics and learn to read here. Strictly it is next year that they start Phonics at school, but fortunately at his school if a child is showing an interest in learning they can adapt to the interest and ability level of each individual during their introduction to phonics programme this year. On the night of his 4th birthday, for the first time, he read 2 words completely on his own, and another 3 with help. Daddy was called and there were high fives and fist bumps all round. He went to sleep a happy and proud little man. These last 2 weren't birthday presents this year, but I have to repeat them here, in case your household doesn't have them. 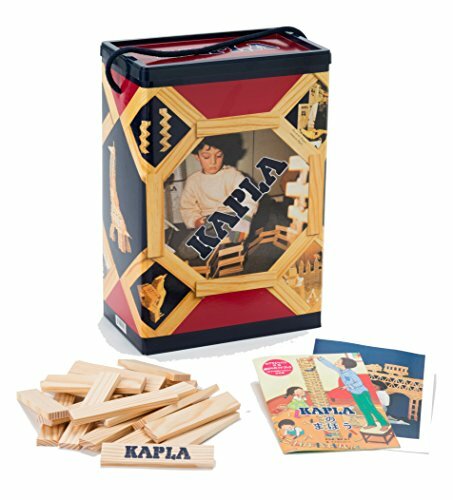 Kapla is Europe's best kept toy secret. Universally loved, simple, natural and durable. It looks a bit like fire kindling wood, but it is oh so much more than that! And the construction opportunities are only limited by your own imagination. 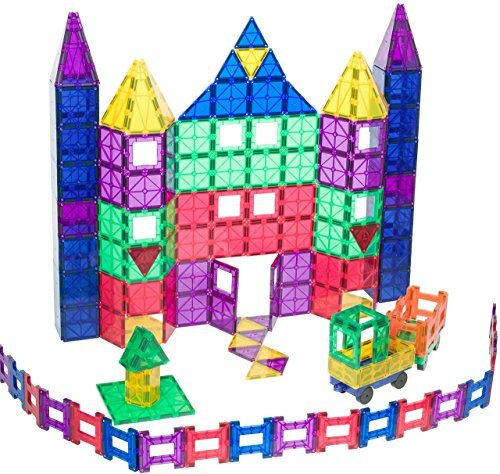 A superb toy for children of literally all ages, and 4 is probably a perfect age to start. You can read our previous review here. We also love our magnetic tiles for constructing. They are durable, are played with regularly, and are great for all ages. Also when other people come to our house, they often come out. There are different brands of magnetic tiles, and previously on Five Little Stars we did a comparison of MagnaTiles and PlayMags. It has actually been our most read review to date, which is fantastic. You can check it out here and take a look on Amazon UK to see which ones you might like to buy. I hope there are lots of useful ideas in here, be they for your own child or a gift for another 4 year old. P.s. Amazon UK affiliate links are included above for your shopping convenience.